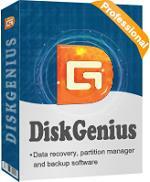 Description: DiskGenius is a partition management and data recovery program. 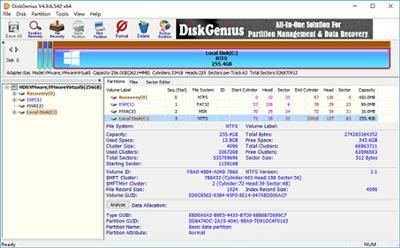 In addition to traditional MBR partition table, it supports GUID partition table on GPT disks also. In addition to basic partition management functions such as creating, deleting, hiding, formatting partitions, it also provides more powerful functions like lost partitions recovery, deleted or lost files recovery, partition backup, partition clone, disk clone, quick partition, integral size partition, correct and check partition table error, advanced file operation, etc. Fix various data loss problems: recover deleted files or partitions; recover data from corrupted partition, RAID and virtual disks. Quickly resize, extend and split partitions without data loss to make the best use of hard drive capacity. Safely clone & image disk and partitions for data protection or disk upgrade, no complicated skills are required.